Back Together Again Chiropractic is a private practice located in the upper west side of Manhattan. We concentrate and focus on all forms of sports injuries for adults who are looking to optimize their workouts, training and win at a competitive level. 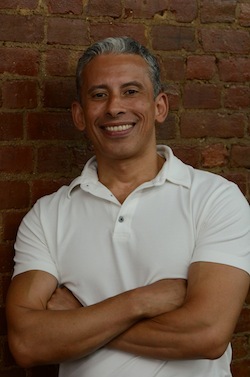 Dr.Angulo not only uses the latest chiropractic treatment protocols in his Manhattan office, but provides a comprehensive initial exam and treatments including soft tissue therapies such as ART (which stands for Active Release Technique), Instrument Assisted Soft Tissue Mobilization (IASTM) therapies and Cranial Release technique, kinesiology taping and therapeutic exercises. Patients love the fact that we do not double book appointments , so all the focus is strictly on you. Your initial visit may take up to 60 minutes consisting of a consultation, orthopeadic ,neurologic and chiropractic exams; Postural and functional movement exams and treatment depending on your case. Follow up visits take up to 30 minutes. Dr. Angulo takes his time and addresses your issue in depth. You’re not in and out in 5-10 minutes like other offices. “I first went to see you back in February of this year on the recommendation of a fellow yoga enthusiast whom I practice with often! I had injured my right shoulder with a partial rotator cuff tear! I enjoyed meeting Lou and grew to look forward to our sessions together! Lou was always friendly and professional! At first we met weekly, then bi weekly and now once a month! Our sessions consisted of a vigorous shoulder massage treatment, ART and instrument assisted soft tissue therapy! Back In February just after the injury I was down to maybe 50 percent mobility, now I’m pleased to say I’m virtually complete healed with close to 100 percent mobility!